When I was in my early to mid-teen years, I was sexually abused by my father who was a respected Protestant minister in our community. For many many years I kept that abuse hidden and buried deep within because I felt ashamed. It was only when my health and personal life began to deteriorate that I had to let my secret known so that I could begin my own healing journey. 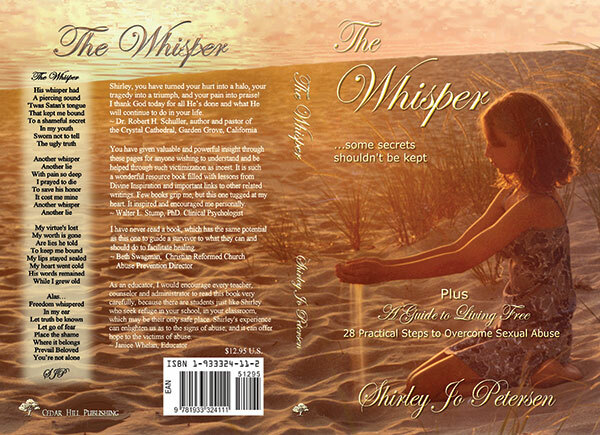 I have written this book The Whisper as an illustration of my own personal story in the hopes that it will give others the courage to begin their healing journeys. Download the full manuscript here (PDF, 24 MB) or click below to read an excerpt from the book. Author. Founder of Healing Private Wounds. Survivor.